In the next few months naturopathic medicine will be moving from the Drugless Practitioner's Act (DPA) to the Regulated Health Professions Act (RHPA) under the College of Naturopaths of Ontario (CONO). The decision to move naturopathic doctors under the RHPA was made in 2007 when the Naturopathy Act was passed. Naturopathic medicine has been regulated in Ontario since 1925. Since that time it has been regulated under the DPA. In 1991, the RHPA was created. Most health professions, both those that were previously regulated under a different Act and those newly regulated health professions, have been moved under the RHPA. Naturopathic doctors are one of the last health professions to move under the RHPA. 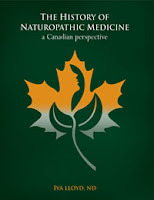 Naturopathic doctors have been looking forward to moving under the RHPA. There are many advantages and opportunities for intra-professional collaboration; and the move should benefit patient care. The Naturopathy Act, 2007 was passed with the understanding that naturopathic doctors would maintain their full scope of practice. What we now require is your support to influence government so that your rights and your access to the full spectrum of naturopathic care are protected.